Greetings, readers! I wish you a joyous Friday. As your weekend approaches, I realize that some of you may be wondering what to do with your time. Well, fear not! A four year old and her mother have found a perfect solution. They design paper-dresses. I wish that my family had been able to use such materials- that might have made the costuming easier for our shows. At the very least, it would have kept my younger sister out of trouble, or would have cost less. You have a younger sister? Yes. Furry McGiggles. Did I not mention her? Uh, no… You didn’t. I knew about your younger brother, but you never mentioned a sister. Well, yes. Furry. She’s a lot younger than me, and very into clothing design. You said something about it would have been less expensive…? Yes. You see, she’s so into clothing, she would occasionally raid the costume wagon. Sometimes, when she was about three, she would simply wear the fanciest dresses through the mud, and ruin the hems. She discovered sewing items, like scissors and pins, when she was two. When we were unlucky, she would decide to modify the dresses. After all, the acting troupe is a bit busy, and it’s really difficult to keep track of a small child. …Oh. That does sound expensive. It was. Your paper is much less expensive, from what I understand. Well, I hope you have a wonderful weekend, readers! This entry was posted in crafts and projects and tagged arts and crafts, Fluffy on February 28, 2014 by Fluffy McGiggles. I’m guessing you may have seen this already, but I’m going to share it with you anyway. Just in case you haven’t. Ok. So, I love Pixar. They make excellent movies. I especially enjoy the whole Toy Story series. It’s funny, it’s so true and it has a great message. Well, there’s a theory going around on the internet about who Andy’s mom is, and it’s a really cute idea. It’s the sort of thing where even if Pixar didn’t actually intend for it to happen, they should keep it anyway and make it part of the universe. This entry was posted in Webmaster and tagged webmaster on February 27, 2014 by Webmaster. Greetings, readers! I bid thee a joyous Wednesday. I was once again visiting YouTube a few days ago, and I encountered this remarkable procrastination tool. It is a video about names. I found it interesting. I somewhat disagree with a few points or implications they make, but I found a lot of the information to be worthwhile. Do you have any thoughts about names? 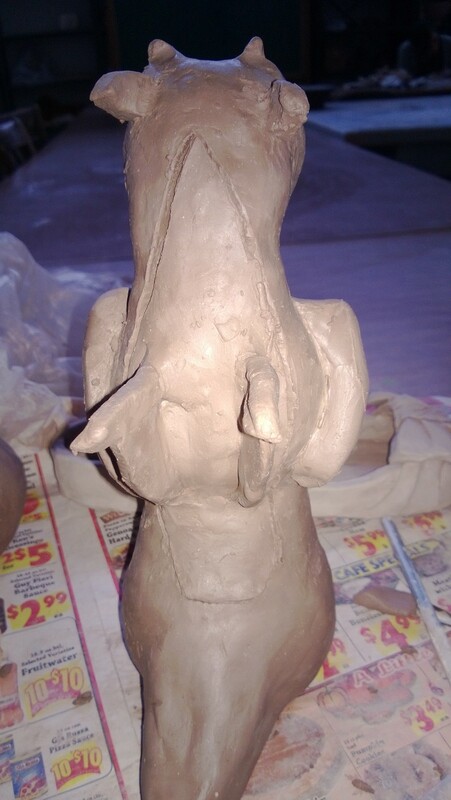 This entry was posted in fluffy, procrastinate, YouTube and tagged Fluffy, procrastinate, youtube on February 26, 2014 by Fluffy McGiggles. So, dealing with hair can be amusing. In multiple ways. It can keep me amused while I’m doing it, and it can amuse me after the fact. Especially when you need to use hair hacks. For example, a couple of days ago, I wanted to braid my hair. But I didn’t know where a traditional hair-band was. So instead of leaving it in a normal braid down my back, I decided to twist it into a bun, because I have Bobby Pins readily available. Yeah. I’m still slightly amused by the lengths I’ll go to in order to avoid finding another hairband. So, do you have any amusing hair-hack stories? Share them in the comments below! This entry was posted in hair, Webmaster and tagged hair, webmaster on February 25, 2014 by Webmaster. So, this weekend I was both productive and not productive. You know. I have something due on Friday, so that means that I cleaned my room (somewhat) and did craft projects instead. Yay procrastination! I’m sure that I’ll get my Friday project done, so it’s not really that bad. But, yeah. So, the tail’s slightly dorky. As are the wings. It’s still cute! So, yeah. It needs to be fired, of course. 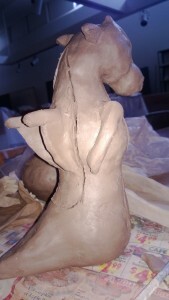 And then hopefully glazed. I’m trying to decide on colors. Do I want it to be glossy black? Glossy green? Not-glossy green? Something else? Yeah. That’s my weekend, basically! How about you? This entry was posted in crafts and projects, procrastinate, Webmaster and tagged arts and crafts, procrastinate, webmaster on February 24, 2014 by Webmaster. Greetings, readers! I hope this day finds you well. Once again, I was visiting YouTube. Once more again, I found a video I think is worth sharing. It is a parody of Disney Princesses, set to music. I encourage you to watch it. I hope you enjoy, and have a good week. This entry was posted in fluffy, YouTube and tagged Fluffy, youtube on February 23, 2014 by Fluffy McGiggles. The weather where I am has been a bit chilly recently. 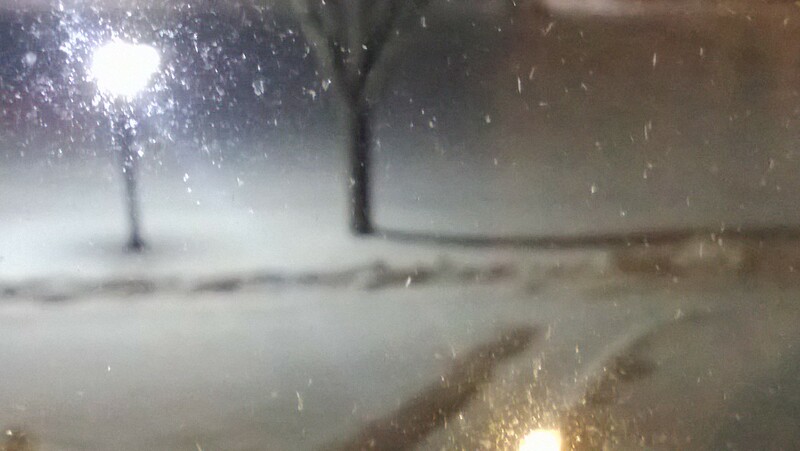 And snowy. It’s lovely. But it’s also good for making you want warmer foods. 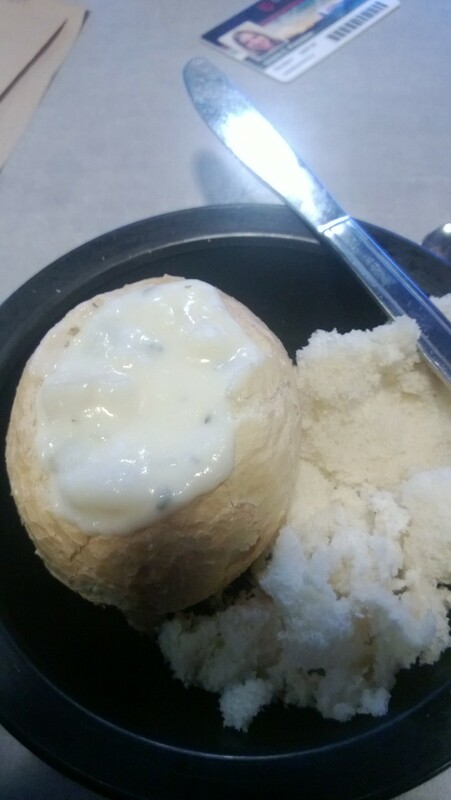 Fortunately, I came to the realization that when the place I frequently eat serves little crusty French rolls and soup, you can MAKE YOUR OWN BREADBOWLS! 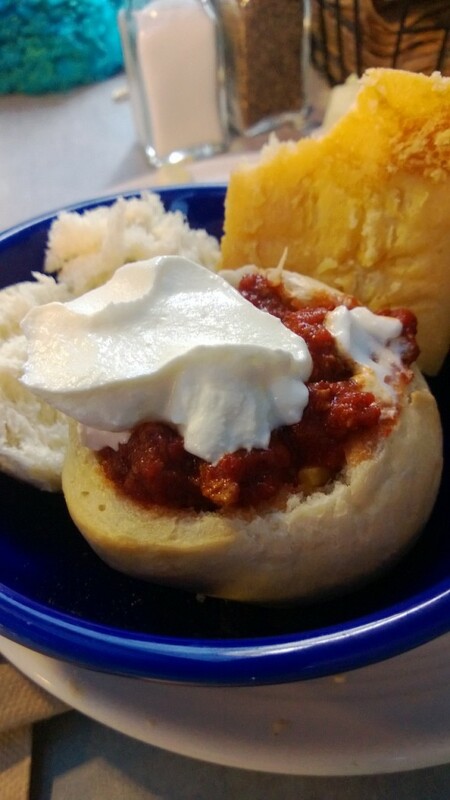 So, here’s my week in Bread Bowls! Making a bread bowl! Yay! 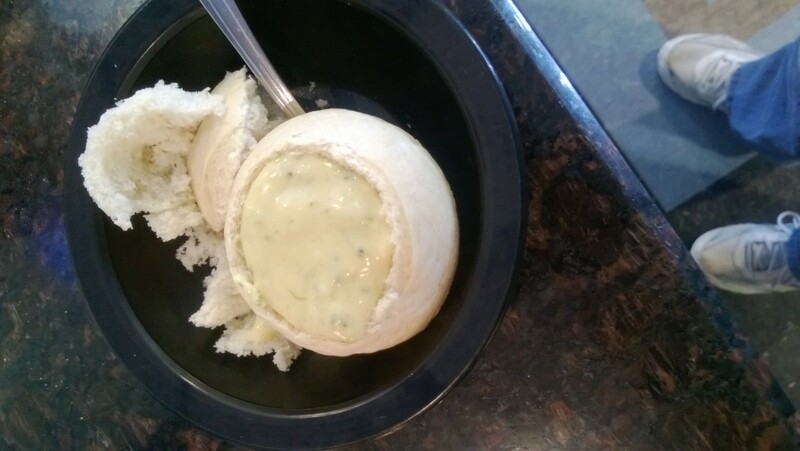 Yay soup in a BREADBOWL!! 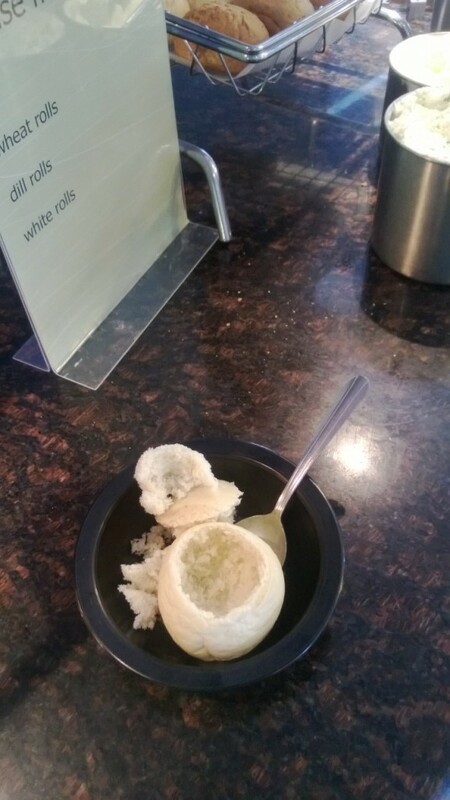 So this was an actual bread bowl, provided by the food service. It had chili. 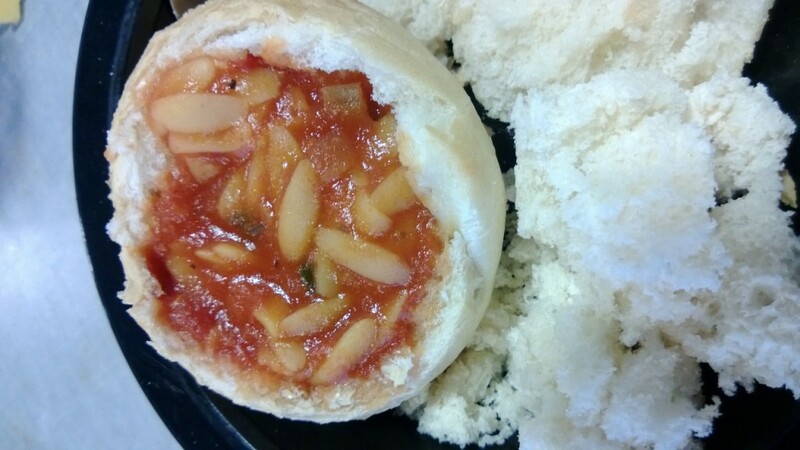 This was the one where I first made my own breadbowl. It was tasty! Breadbowl from February 20th. Some sort of tomato-based lentil soup. 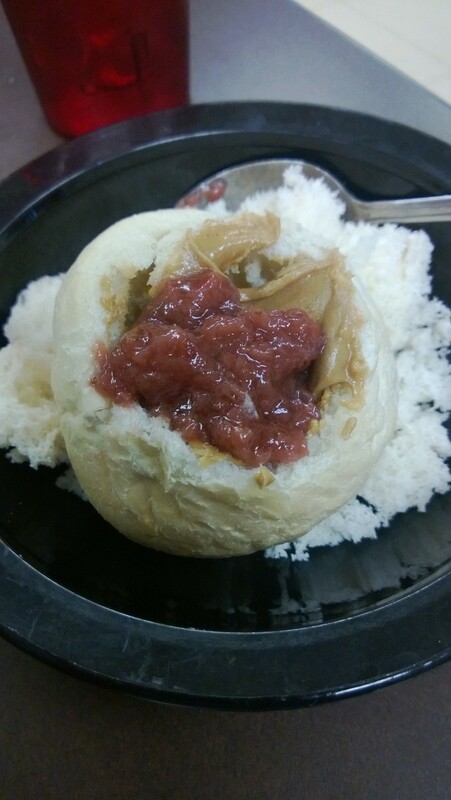 New form: Peanut Butter and Jelly in a bread bowl! It works, right? And then, alas, they ran out of the mini French loaves. 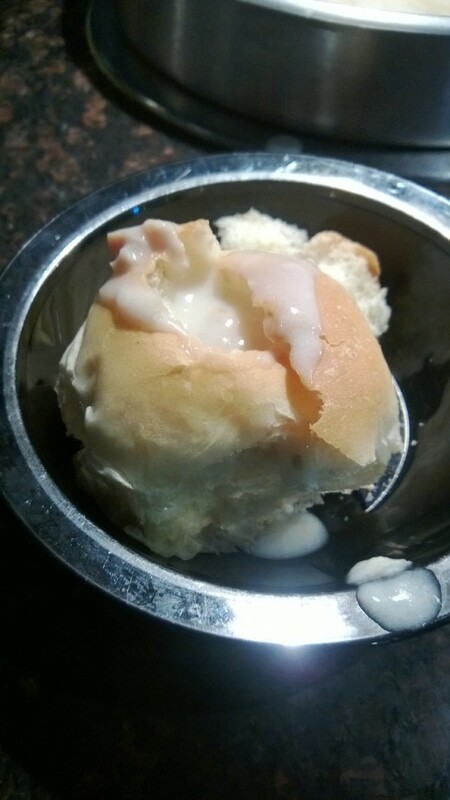 So I needed to try to use a normal dinner roll. Which really didn’t work as well, but oh well. At least this post was saved! So, that was fun. I highly recommend trying it sometime. There’s something really fun about “beating the system”, and having fancier (or at least tastier) food than the provider expects. This entry was posted in cooking, Webmaster and tagged cooking, webmaster on February 22, 2014 by Webmaster. My apologies for the sound… I’m not sure how to use the video editing software. This entry was posted in nature, Webmaster and tagged nature, webmaster on February 21, 2014 by Webmaster. I know that I’ve shared some of the Piano Guys’ epic music-ness before, but it’s because they are worth it. And their new one? It’s a lovely piece: A wintery themed one. Oh, yes! I love that one. 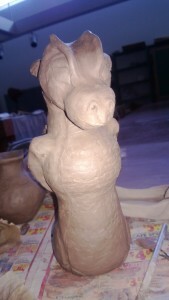 It is very artfully done. I like how it incorporates segments of Vivaldi’s Winter, from his Four Seasons! For those of you who might not be as familiar with it, here is a recording of it. Only first three minutes or so of this piece are particularly obvious in the Piano Guys’ piece. Yeah, it’s cool how they tie it in with the “Let it Go” theme from Frozen! Well, now that you know about the major pieces incorporated in the Piano Guys’ new piece, here’s their actual piece! I hope you enjoyed, and I hope the rest of your week goes well! This entry was posted in music, Webmaster, YouTube and tagged music, webmaster, youtube on February 20, 2014 by Webmaster. Greetings, readers! I hope your week is going well. I recently discovered something on YouTube. Apparently, if you tell your computer to go “down” while an embedded video is loading (so for you, it would be by pressing the “down arrow” right after pressing play) the little white circle of dots turns into a snake game, which you can continue to play during the movie. It is a bit distracting, actually. For non-embedded YouTube videos (as in, videos found on YouTube’s page) click on the video and then press down. Be sure to press the down arrow, and then play as normal, or else you will not start the game, and might even quit it. Here is a link to one of my favorite longer videos in the hopes of you being able to try this. This entry was posted in fluffy, YouTube and tagged Fluffy, youtube on February 19, 2014 by Fluffy McGiggles.